If you are getting divorced in Alaska, below you will find a helpful summary of the main laws on divorce and custody for AK, and be able access to the child support calculator, do it yourself divorce options, and more. You can also locate qualified divorce lawyers, support groups, and information about domestic abuse services. The spouse who files for divorce needs to be a resident of Alaska, unless the marriage occurred outside of Alaska and the other spouse is currently an Alaska resident. There is no residency time limit to file for divorce. Military personnel (and their spouses) who have been stationed in Alaska for 30 days or more can also file for a divorce in Alaska. Divorce and dissolution papers are filed with the Superior Court. The respondent has 20 days from the date of being served in which to prepare and submit an answer to the divorce petition. If an answer isn't filed within the 20 day time limit, the plaintiff can file for a default divorce. Generally, there is a 30 day waiting period after the divorce is filed before a judge will sign the final decree. A petition for dissolution can be filed jointly if both spouses agree on everything (dividing assets and debts, custody, alimony, etc.). If the spouses don't agree on everything, then one spouse can file for a divorce. One spouse must be an Alaska resident to file for a legal separation. Military personnel must be stationed in Alaska for at least 30 days before filing for a legal separation. Custody of the minor children, child support, property and debt division, and alimony can be determined in a legal separation. If either spouse files for a divorce after a complaint for a legal separation is before the court, the two actions can be consolidated. If one of the parties was already married to another person. If either party was a minor and didn’t receive the consent of their parent or guardian. An annulment may not be filed if the parties willingly lived together as husband and wife after the minor party attained the age to legally consent to marriage. If either party was of a mentally impaired state at the time of marriage, unless the couple willingly lived as husband and wife after the impaired party comes to reason. If the marriage was entered into fraudulently, unless the individuals freely lived together as a married couple after the facts constituting the fraud are revealed. If one party was pressured to consent to the marriage, unless that spouse willingly lives with the other after the marriage. Failure to consummate the marital relationship at the time of the marriage. An annulment may not be granted if the couple later on has sexual relations during the marriage. confinement to an institution for at least 18 months for incurable mental illness prior to filing for the divorce. 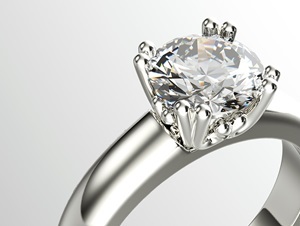 Assets owned prior to marriage are deemed separate property, as are assets acquired by gift or inheritance, and are not divisible in a divorce. Debts acquired prior to the marriage will remain the separate liability of each spouse. When and how the property was acquired, the fair market value of the property at the time the marital estate is divided, and its revenue-generating capacity. Any additional factors deemed relevant by the court. Alaska allows for either spouse to return to a previous name as part of a divorce proceeding. If the request is to change the name to something other than a prior name, a hearing will need to be held, with publication of the hearing posted in a newspaper in the judicial district. If no reasonable objection exists for the assumption of the new name, the court will authorize the change after a period of at least 30 days. any other factors that the court considers pertinent. any other factors the court deem relevant. The court may also require parents to fulfill certain parenting education requirements. These vary by court district, so you should contact your local court regarding the parenting education requirements. Most courts will accept the online Children In Between program. Civil Rule 90.3 outlines out the formulas used to calculate child support in Alaska. The amount of child support that will be awarded is determined by the custody arrangements and the amount of time the child spends with each parent. In situations where one parent is awarded primary physical custody, the non-custodial parent's adjusted gross income is multiplied by a percentage based on the number of children to be supported. The minimum amount of child support that can be ordered is $50/month. 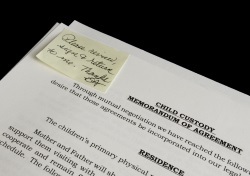 In cases where there is shared or hybrid physical custody, then both parent's adjusted gross incomes shall be used to compute the level of child support, taking into consideration how much time the child is with each parent. Since the state has a large number of seasonal jobs, the court has the flexibility of ordering unequal monthly payments. In these situations, the total amount of unequal monthly payments paid during the year would equal the annual total if standard payment were made. Either parent may be required to provide health coverage for their child if it's available at an affordable cost. The cost of health care coverage may be added or subtracted from the child support obligation depending on which parent carries the coverage. Uncovered medical expenses shall be shared by the parents. Child support modifications are allowed if there is change in circumstances that would change in the child support order 15% or more (including health insurance coverage). Generally, child support ends when a child reaches age 18 (or 19 if the child is enrolled in high school or the equivalent and residing with custodial parent). Child support also ends when the child becomes emancipated by getting parental consent to live independently from his or her parents. Divorce & Separation Forms - US Legal offers divorce packages and separation agreements that you can download onto your computer. These forms are specific to Alaska and are only available for uncontested divorces. Parenting Plans and Custody Agreements – Custody X Change is a software solution for parents that want to create their own parenting plan to give their attorney to work with or to submit to the family court. The software assists with creating printable visitation schedules, adding provisions to your parenting plan, and accurately calculating parenting time and child support. Online Divorce - This online service for uncontested divorced can help you easily prepare your paperwork by guiding you through sequential questions relevant to your situation. In addition, you'll get filing instructions and have access to numerous downloadable books discussing many of the topics which need to be addressed in a divorce. QDRO Document Preparation - QdroDesk™ is an instant online QRDO preparation service which makes it simple to generate the documents which are required to divide qualified retirement plans during a divorce. 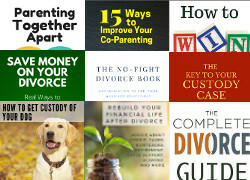 General Divorce Information: Provided by AlaskaLawHelp.org. This site offers a wealth of information about getting a divorce in Alaska, with links to additional sites and information.